When the athletes at the Pan Am/Parapan Am Games take to the field, velodrome, court, ring, pool or track, they can thank Dundee Kilmer Developments for their comfortable rooms and restful sleeps while residing in the CIBC Pan Am and Parapan Am Athletes’ Village. The teamwork required to get the Village up and running in time for the July 10 Opening Ceremonies demanded the precision of a relay race to complete all the tasks, which included designing, building and financing this large-scale and complex project in a three-year timeframe. “In 2010, the summer after Toronto won the Games, Infrastructure Ontario was handed the baton to procure the Village using a public-private partnership model,” says Ken Tanenbaum, the vice chairman of Kilmer Van Nostrand, which is a 50/50 partner with Dundee (now known as Dream) for the development of The Canary District, which will first be used as the Athletes’ Village. After the Games, The Village will be turned into a residential hub organized around a public realm called The Canary District, which will include condominiums, affordable rental units, a new YMCA, a student residence for George Brown College and a number of retailers whose health and wellness theme embraces the athletic beginnings of the precinct. 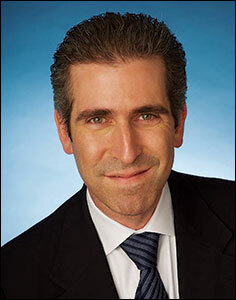 Tanenbaum has a long history in the construction industry; before joining Kilmer Van Nostrand in 1991, he attended the Wharton School of Business at the University of Pennsylvania. As a point of interest, Tanenbaum’s father, Larry, is part owner of Maple Leafs Sports and Entertainment, which includes the Toronto Maple Leafs, Raptors, Toronto FC and Argonauts. Condo Life: Tell me a little about The Kilmer Group and its history. Ken Tanenbaum: Kilmer has been building Ontario infrastructure for three generations, and has been at the forefront of publicprivate partnerships during that time. I grew up in the construction business and have been privileged to participate in many transformative projects that have shaped the fabric of our province. Kilmer is also involved in sports and media, private equity investing, and environmental rehabilitation. CL: How did it come that Dundee Kilmer got the rights to build the Athletes’ Village? KT: I need to give you a little history first. In the mid 1980s, then Ontario premier David Peterson expropriated the lands for the purpose of creating affordable housing. This area was known as the Ataratiri Lands. As a consequence of the environmental condition of the site, flood proofing of the Don River, and a soft real estate market, the land sat derelict for nearly 25 years. Then Waterfront Toronto was tasked with reimagining the West Don Lands and its CEO, John Campbell, held a series of consultations about what the neighbourhood should become. When Toronto won the Pan Am Games, that was the moment the vision was born and Infrastructure Ontario (IO) got involved. There was a call for development proposals and that’s when Michael Cooper and I came together to form Dundee Kilmer Developments. Responding to the RFP (Request for Proposal) from Infrastructure Ontario was an enormous task. We had just 90 days to design, procure and finance nearly $1 billion of work. It was a very competitive and intense process, and was designed by IO to ensure a successful outcome. Our whole team was really aligned around the mission of achieving design excellence and guaranteeing on-time delivery. CL: This piece of land, now known as the West Don Lands, is off most Torontonian’s radar. Was that a problem in coming up with the plan for the Canary District? KT: Most people aren’t aware that Cherry Street is about the same distance from Yonge Street as Spadina Avenue is. The downtown east is transforming before our eyes, and you can see it in the remarkable work done by The Daniels Corporation in Regent Park, and in the corridors of Front Street East and King Street East. In the GTA, we live on an island, surrounded by Lake Ontario, the Escarpment, the Oak Ridges Moraine and the Greenbelt. 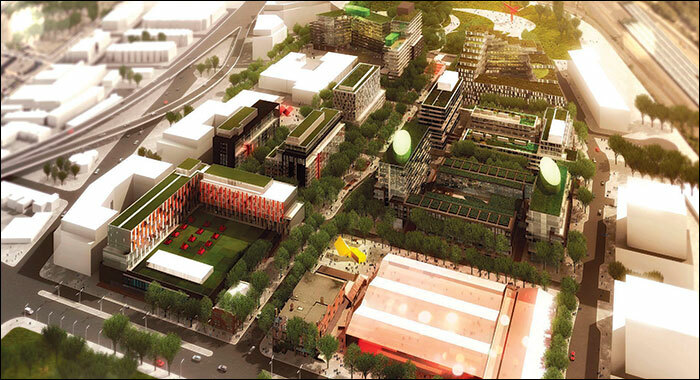 The province has called for smart intensification and Waterfront Toronto (WT) has embraced the concept. WT was inspired by a set of planning guidelines in the spirit of Jane Jacobs, who called for “eyes on the street” and that’s what we’ve delivered. In The Canary District, there is medium density, which makes it walkable and liveable. Also in the planning principle was an incredible commitment to parkland and the pubic realm. Corktown Commons, an 18-acre park, opens up to Front Street, with a direct connection to Don River Trail System. Dundee Kilmer was very supportive of the concept of green space and has worked with Evergreen Brickworks to fund The Ribbon at the Lower Don, a green way and art trail that extends north to the Brickworks. With more and more density in our city, people need a place to access nature and our 44,000 acres of connected parks and ravines are an incredible asset. CL: How did you choose architects and construction companies that could work in the tight timeframe you had? KT: We called two of Toronto’s leading lights in architecture, Peter Clewes of architectsAlliance and Bruce Kuwabara of KPMB, to do the design work. They both accepted, but also insisted on bringing additional talent to the team to achieve what they referred to as “cohesive diversity.” Our construction partner, Ellis Don, also brought additional horsepower to guarantee on-time delivery and created the Ellis Don Ledcor Joint Venture. Once everything was in place, we handed the baton to Wayne Carson and Jason Lester, who are the driving forces behind the day-to-day operations of Dundee Kilmer. This was our A Team, and they delivered an A+ result. At the end of February, we handed the Village over to Infrastructure Ontario and then they handed it over to TO2015. In September, TO2015 will hand it back to the province and then back to us. And then, another round of work starts. We will take about eight months to convert the buildings to their legacy uses, which has required tremendous planning. CL: Are you participating in any of the Games activities? KT: I didn’t qualify for the 100-metre sprint, so I’ll be cheering from the stadium. Our family has become a “Friend of the Games” and in partnership with the Toronto Community Foundation, we have made a donation of funds to buy tickets for 3,900 youth to attend who otherwise wouldn’t be able to. It’s an initiative to inspire kids through sport, and nothing could be a better legacy of the Games than this. • Location: Centred on Front Street, between Bayview Avenue and Cherry Street and from north of Front Street to the rail corridor. • Sustainable development: All buildings will achieve a minimum LEED Gold certification. • Village facilities: A welcome and accreditation centre, a 3,500-seat dining hall, parking and service facilities, and a transit mall will be built as temporary structures. • 10,000 athletes and officials will attend.